I do love a good retelling. Today we have five retellings inspired by classic literature. These books are fun for fans and newbies alike, and they would be perfect for the upcoming holidays (Halloween or Christmas). The creep factor is pretty high here. 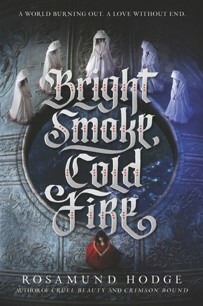 Bright Smoke, Cold Fire beings near the end of Romeo and Juliet. In this version of the story Paris and Rosaline are the leads. In the face of the zombie apocalypse, one city, Viyaro, still stands thanks to blood sacrifice. The city is filled with many different clans all existing in an uneasy truce. When Romeo falls in love with The Juliet--the girl endowed with magic from birth to be the vengeance of her people--those uneasy boundaries come crashing down. I liked the eerie atmosphere in Rosamund Hodge's book. I kept picturing a dark, pseudo-Italian Renaissance setting. One word of caution, this book is definitely a slow burn. Be prepared to really let it simmer. Review copy from Edelweiss. 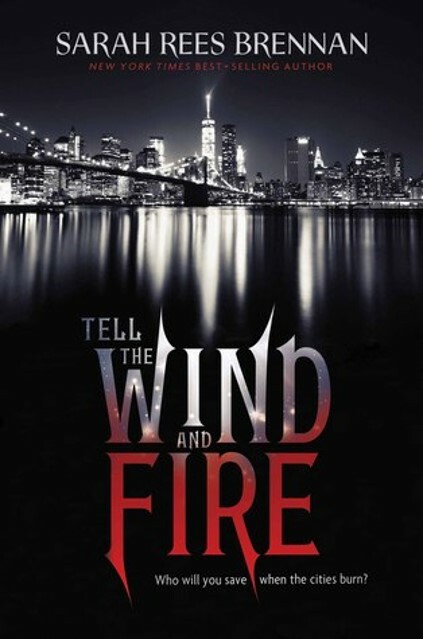 Tell the Wind and Fire is a retelling of A Tale of Two Cities set in an unpleasant future. In Lucie Manette's world all of humanity is divided into the Light and the Dark. Lucie escaped the Dark with her broken father and became a symbol for the both the Light and the Dark. I loved the atmospheric and gritty setting. Lucie is being used by all parties against her will, and the stakes are very high. I also really liked how Sarah Rees Brennan used doppelgangers to explain why Ethan had an exact lookalike (always a suspend-your-disbelief aspect of A Tale of Two Cities). It's nice that this futuristic, dystopian tale is not a series. It felt so good to have the whole story. Review copy from NetGalley. 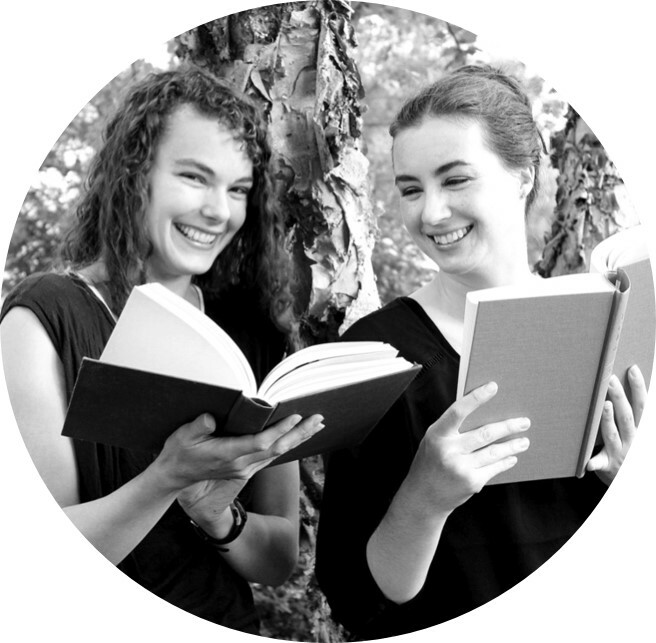 Claire and Ella Grey are inseparable best friends (and maybe something more). Then on a trip to the beach they meet the mysterious Orpheus who can charm the birds and beasts with his music. Orpheus has eyes for no one but Ella, and she is instantly smitten as well. But their love story is a tragic one, and Claire is the only one left to tell it. 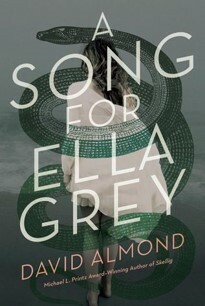 A Song for Ella Grey reads like a fairy tale or maybe a dream. It's as if the reader is seeing it all through a haze. I'm not sure quite what to make of David Almond's story. It seemed to straddle two worlds at all points--both modern and mythic--and I think I would have liked to see a more modern take on this ancient tale. Review copy from NetGalley. Holly Chase is dead. After failing as a Scrooge, she's now a ghost and condemned to work for Project Scrooge as their Ghost of Christmas Past. It's a monotonous life. But this year's Scrooge is different. He's young and his story is so similar to Holly's. Delving into Ethan's past is starting to defrost Holly's icy heart. Cynthia Hand's take on A Christmas Carol is clever, funny, and tender all at once. Holly is a pretty entertaining narrator. I enjoyed all of her snark, rolled my eyes at how sorry she felt for herself, and got a little teary at times. I also really liked the characters she worked with at Project Scrooge. 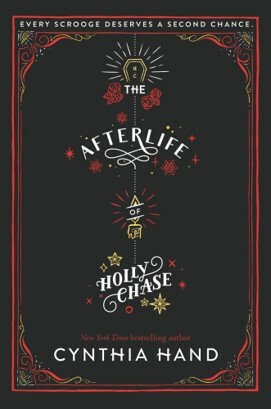 If you enjoy lighthearted YA retellings, maybe put this one on your list for next Christmas. Review copy from Edelweiss. Imogen Rockford is not at all prepared to be the next Duchess of Wickersham, nor is she at ease in the grand estate that was the site of her parents' death, but she is determined to do her duty. Back at Rockford, Imogen reconnects with her childhood crush and starts to become very suspicious about her cousin's untimely death. 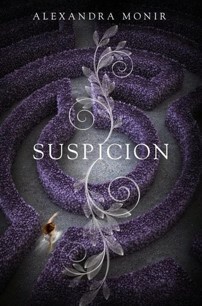 Suspicion is like a mash-up of The Princess Diaries and Rebecca. It has all the charm of the suddenly-a-princess plot laced with murder, paranoia, and the paranormal. Rebecca is one of my favorite classics, and I really enjoyed seeing how Alexandra Monir drew from that creepy tale. This book would be a really fun Halloween pick. Review copy from NetGalley.